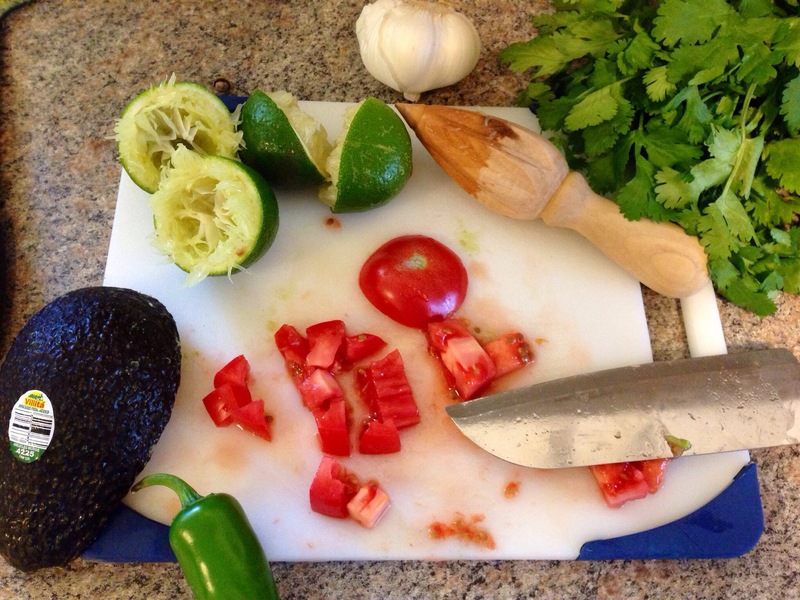 Homemade Guacamole | My Crazy Blessed Life! Happy Cinco De Mayo! I’ve heard that America celebrates this much more than Mexico, but regardless this is just another great excuse for my husband’s favorite food! He loves all Mexican food and tonight is having some guys over to watch the Oklahoma City Thunder game. So I decided to make him some homemade guacamole to share (or not share) with his friends. First mash the avocados well then stir in the lime juice. I always microwave my limes a few seconds (6 or 7) to warm up the juice, then roll pressing on the counter before slicing open and it is easier to squeeze it all out. Add the rest of the ingredients as you get them prepared. Stir well, cover and refrigerate for at least an hour to allow the flavors to develop. 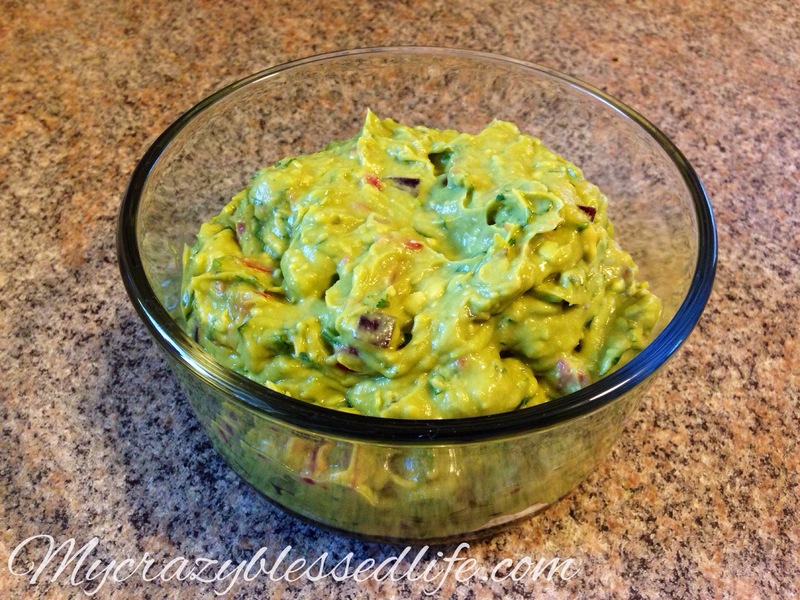 Guacamole is one of our all time favorites over here and this looks amazing! Your pics are great marketing as well!